His Excellency President Julius Maada Bio has instructed and given an executive clearance for the former Head of State, Valentine Strasser, to be evacuated for medical treatment due to the severity of his illness. 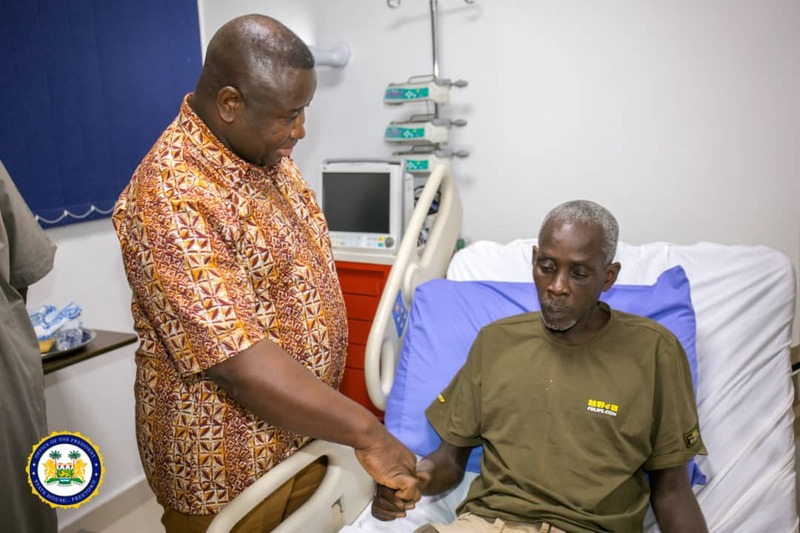 His Excellency President Julius Maada Bio who made a surprise visit to his former colleague at the Aspen Medical Hospital on Saturday 5th January 2019 to get an update on Strasser’s illness, assured the former Head of State that Government will do everything it takes for him to regain his health. 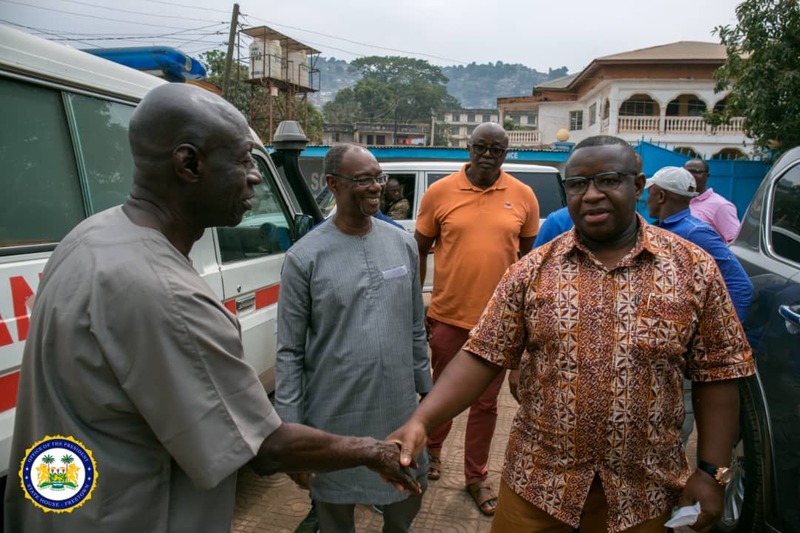 President Bio also thanked the medical staff at Aspen Medical Hospital for the high-quality patient care they have shown towards the former Head of state. Briefing the President on Strasser’s illness, the Commanding Officer, Joint Medical Unit, Lt. Col. Dr Stephen Sevalie said that the former Head of State suffers from Peripheral Artery Disease affecting the left leg. Dr Sevalie said that the former Head of State will require a surgery to re-establish blood supply and that should be undertaken by a vascular surgeon. 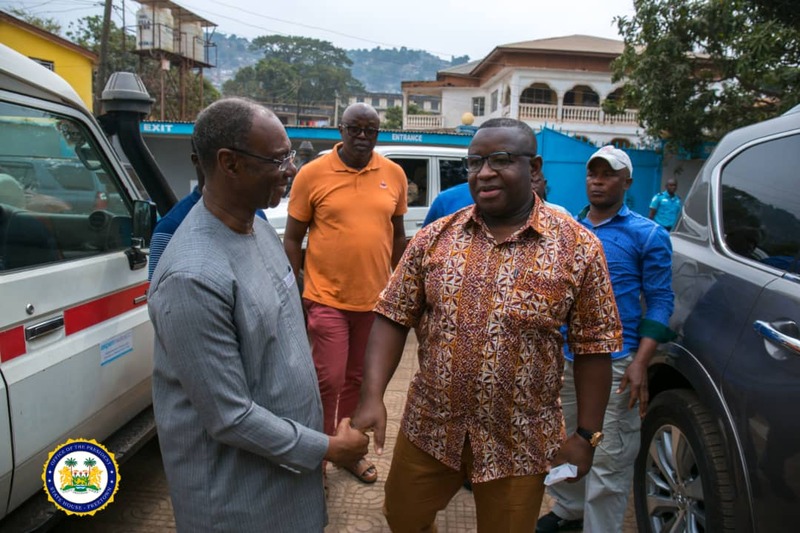 The Minister of Health and Sanitation, Dr Alpha T. Wurie, who also accompanied the President to the hospital, confirmed that Government is finalising the arrangement for the former Head of State to be flown to Ghana for medical treatment as soon as possible. The President was also accompanied by the Minister of Political Affairs, Ambassador Foday Yumkella. Valentine Strasser served as Head of State and Chairman of the National Provisional Ruling Council from 1992 – 1996.